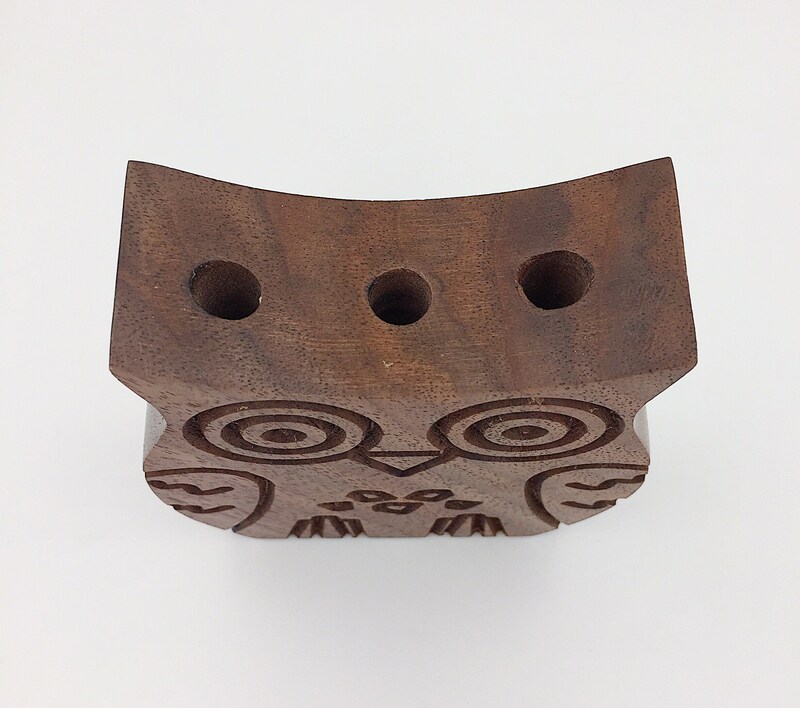 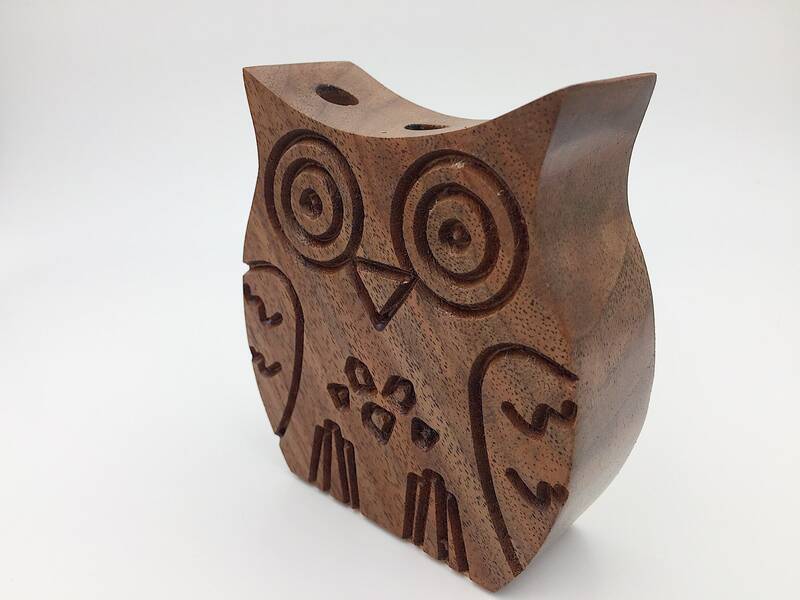 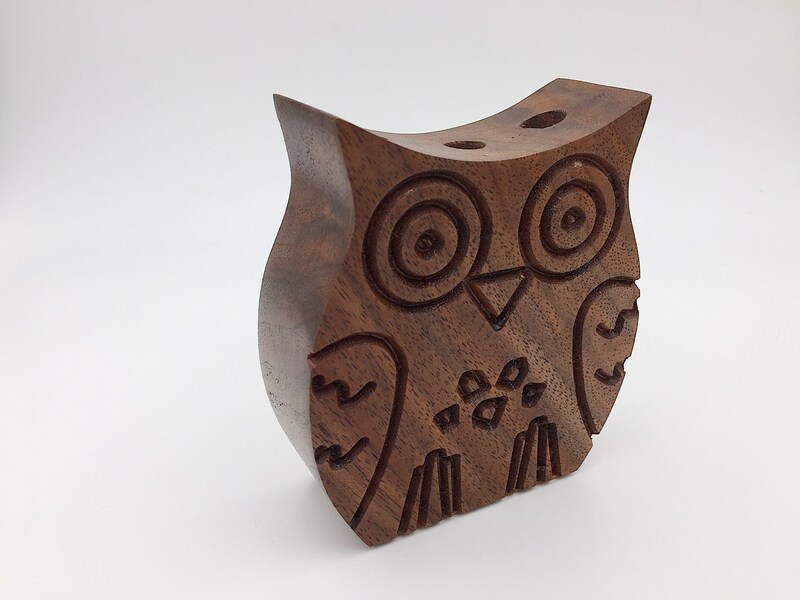 Small claro walnut owl pencil holder. 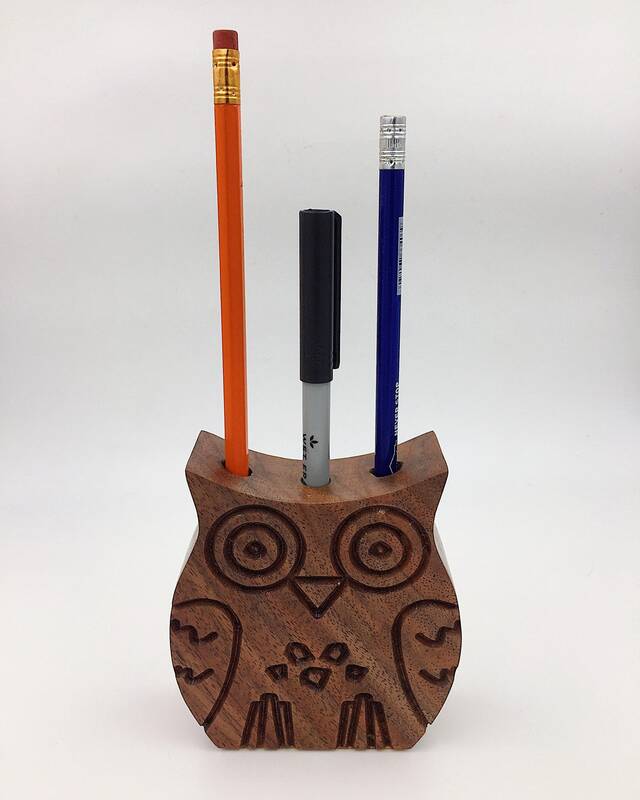 Holds 3 pencils or slim pens. 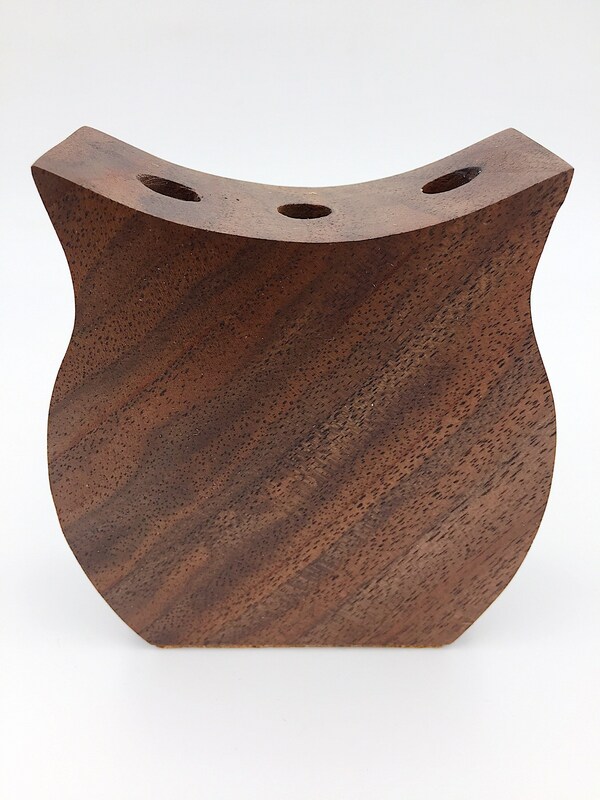 Measures approximately 4” tall x 3” wide x 1.5” deep.